An early innovator was the Scottish inventor and economist William Playfair. As a teenager he apprenticed to James Watt, the Scottish inventor who perfected the steam engine. Playfair was tasked with drawing up patents, which required him to develop excellent drafting and picture-drawing skills. 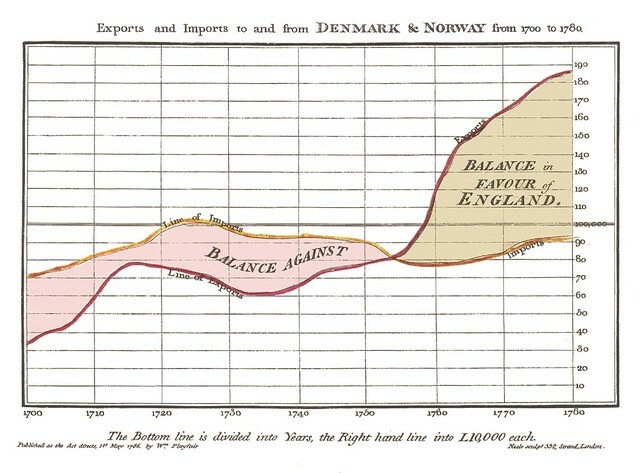 After he left Watt’s lab, Playfair became interested in economics and convinced that he could use his facility for illustration to make data come alive. As we make it clear, we might note that today begins National Canned Luncheon Meat Week, “celebrated” the first week of July each year.